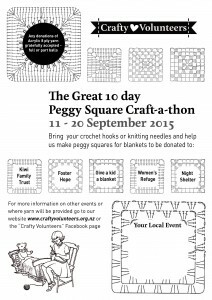 Would you like to have a quiet space to work on a craft project in the company of other cheerful crafters? Have you eve wanted to learn how to knit or crochet but have had no-one to teach you? 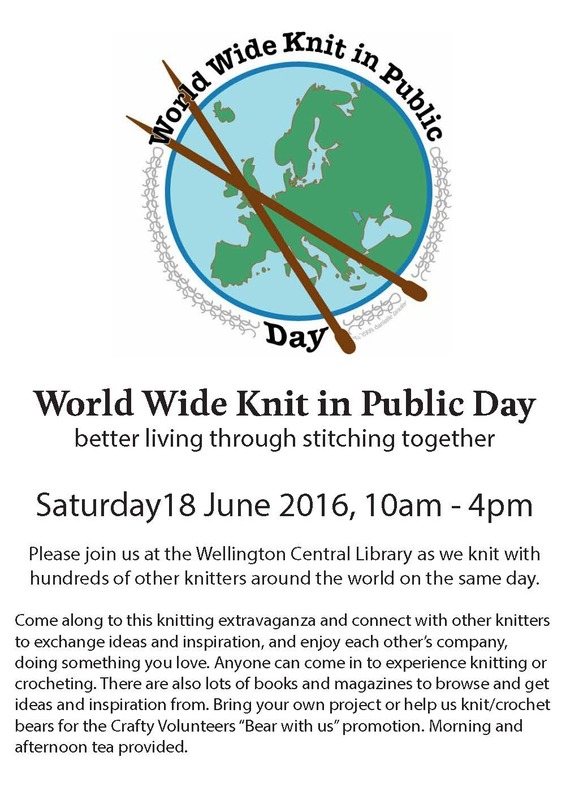 The Wellington Central Library Knitting Circle meets on the last Saturday of each month on the first floor between 1PM and 4PM for craft and chat. Afternoon tea complete with sweets and biscuits is provided. Our next meeting is this Saturday 28th January, 1-4pm. You can choose to work on your own project or to knit for any one of a number of charities – Foster Hope, The SPCA, the homeless shelters, or Women’s Refuge. 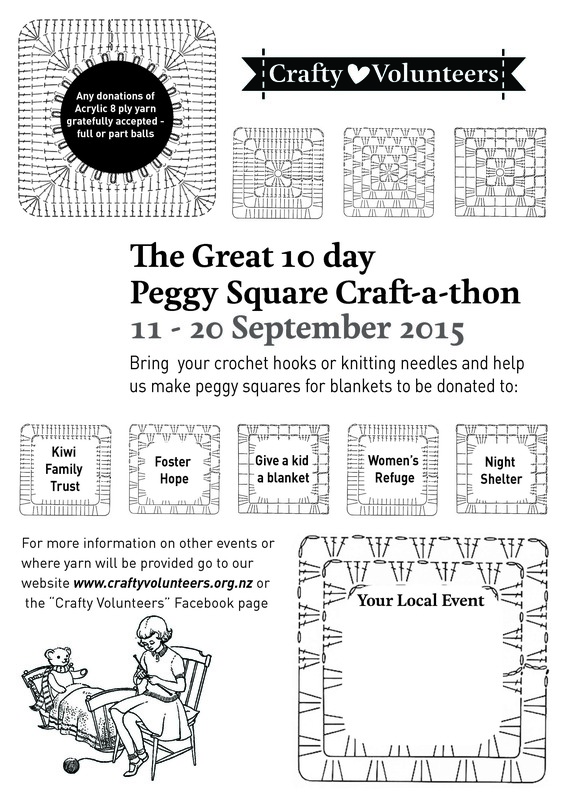 Patterns, wool, yarn and knitting needles are available. Current craft books and magazines will be on display and available for loan. Come, take time for you, be creative and do some good in the world! You can drop by at any time during the knitting circle – stop by for a quick chat, or make yourself comfortable for some serious crafting. After tomorrow, our next meeting will be held on Saturday 25th February, 1-4pm. Making jewelry is a fascinating and often challenging craft. 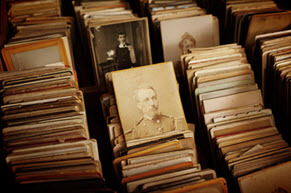 However, there are easy ways to create your own unique pieces! Find lots of ideas and the instructions you need to complete your favourite pieces and discover different methods of crafting in this collection of newly arrived library books. Have fun! Wirework jewelry workshop : handcrafted designs & techniques / Sian Hamilton. Polymer clay jewelry workshop : handcrafted designs & techniques / Sian Hamilton. New rings : 500+ designs / Nicolas Estrada. How to make 50 fabulous flat kumihimo braids / Beth Kemp. Winter is a great time for cosying up with craft books and this selection with delightful finds, may be just what you need to lighten up the winter blues. Starting with Baby Brights there are some delightful crochet projects to brighten a nursery and more. Have fun! Baby brights : 30 colorful crochet accessories / Kathleen McCafferty. Handmade style : 23 must-have basics to stitch, use, and wear / Anna Graham. 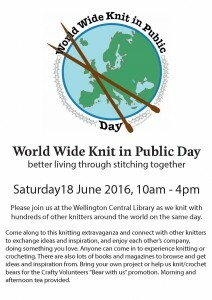 “Anna Wilkinson encouraged a new generation of crafters to take up knitting with her debut book, Learn to Knit, Love to Knit. Anna is now set to popularise the creative craft of crochet in the same way with the companion book, Learn to Crochet, Love to Crochet. The book is made up of a collection of twenty garments and accessories that will add ‘wow’ to your wardrobe but also, through making each project, you will learn the fundamentals of crochet. By making your way through the book you’ll have an enviable wardrobe of handmade garments that include a Granny square sweater, a Daisy motif top and a Circular clutch bag. So, if you have ever really wanted to learn to crochet but you have yet to find the right beginner’s projects to tempt you, then Learn to Crochet, Love to Crochet is the book for you. Arm and finger knitting : 35 no-needle knits for the home and to wear / Laura Strutt. 60 quick knit baby essentials : sweaters, toys, blankets, & more in Cherub from Cascade Yarns / the editors of Sixth&Spring Books. A beautiful mess : happy handmade home : painting, crafting, and decorating a cheerful, more inspiring space / Elsie Larson and Emma Chapman. A modern twist : create quilts with a colorful spin / Natalie Barnes, with Angela Walters. Knit wear love : foolproof instructions for knitting your best-fitting sweaters ever in the styles you love to wear / Amy Herzog ; photography by Karen Pearson.